It’s not a blast from the past, it’s the future. We’ve gotten used to so many handheld miracles in the past five years. We can literally find out anything from anywhere, it seems. Still, the simple pleasure of using a portable TV, well known to our parents, has faded into the past. Today’s HDTVs don’t work while moving, and that has meant a softening market for portable TVs. After all, who wants a portable TV that has to stay perfectly still? 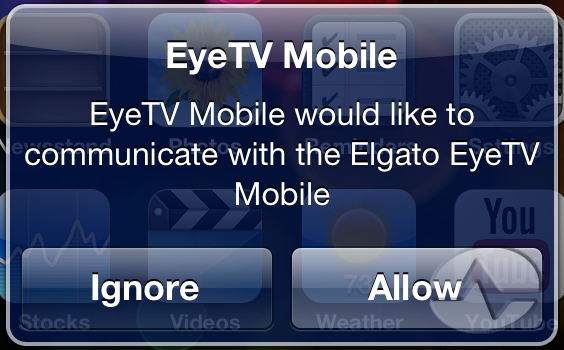 Certainly not Elgato, makers of the eyeTV Mobile. They want you to use your TV anywhere. They’ve created this little add-on that attaches to any iPod or iPhone and gives real TV reception without using any of your data plan. The secret is the mobile DTV signal that many stations broadcast in addition to their regular HD signals. We looked at using the iPad for a TV in the previous article, now it’s time to see how an iPhone5 does. 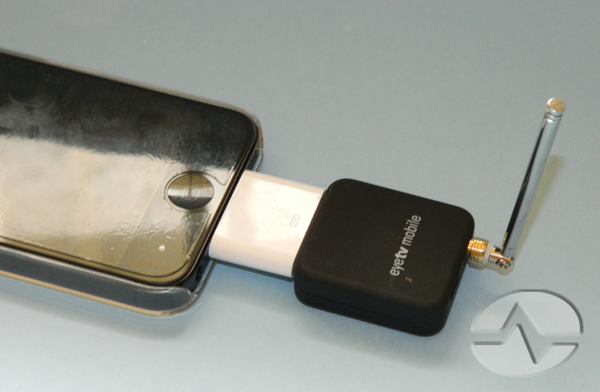 Because the eyeTV uses the old-style dock connector, you must have one of Apple’s insanely expensive Lightning adapters to use the eyeTV. If you’re a long-time iFan, you probably picked one of these up anyway. With the large and ungainly adapter attached, the eyeTV-equipped iPhone looks a little odd, but that’s hardly the fault of the eyeTV. It’s the Lightning adapter that takes all the real estate. Hopefully soon we’ll see adapters that are a little more ergonomically designed for these sorts of add-ons. With luck, they’ll be cheaper too. Attaching the eyeTV Mobile prompts the user to launch the app if it’s installed or download it if it’s not, just like the iPad. This little extra bit of security is something Apple does any time an accessory tries to launch a program. It’s still easier than finding and launching the app by yourself. The scanning process took the same amount of time on a brand-new iPhone5 as it did on a 2-year-old iPad 2, so it’s not a function of processor speed so much as it is one of spending the time to search every frequency. In the end, my iPhone found the same four stations that the iPad did, and the Lightning adapter didn’t stop the process at all. Picture quality is actually quite good. The iPhone’s new 16:9 form factor works very well with HDTV and with the smaller screen, any flaws were impossible to detect. Sound was clear, in fact quite a bit clearer than the portable TV I have been using for reference. 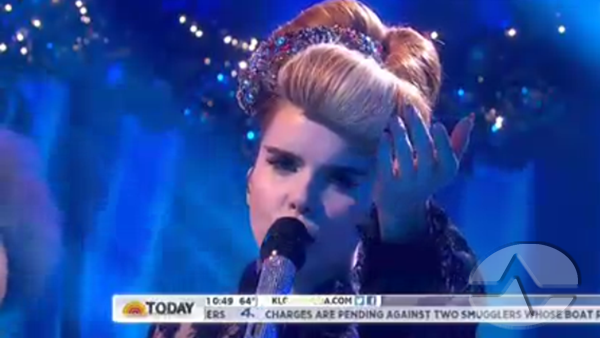 I was also surprised to see that there was no more than a 1 second lag between the live TV picture and the eyeTV Mobile. It must do its processing quickly. In fact, the iPhone app experience is almost exactly the same as the iPad app experience. The controls are placed a little bit differently and sized appropriately for the screen, but all the features are there including the ability to pause live TV. All in all I continue to give high marks to this device. It’s a very capable replacement for a portable TV. 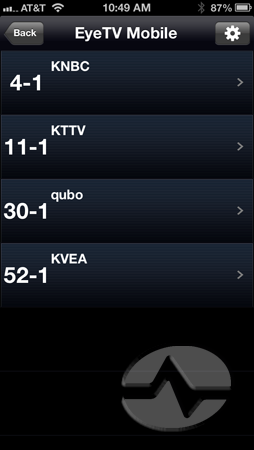 Not every station broadcasts a mobile DTV signal though. I have a feeling if I were closer to a major city I would get several more channels, however. NICE AND EASY: Why are some antennas covered in white plastic?